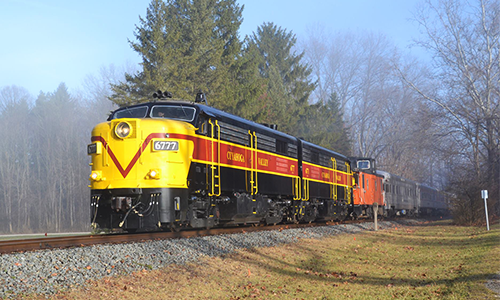 This winter, climb aboard the train with the family for a fun-filled afternoon as you ride through Cuyahoga Valley National Park. Between board games, superheroes and princesses, it’s sure to be a fantastic time. Each ride only lasts an hour and a half, perfect for little ones! All departures are out of Peninsula Depot at 12:40 p.m. and return at 2:05 p.m. Passengers under the age of 3 do not need a ticket, but are required to sit on a parent or guardian’s lap throughout the duration of the train ride.See below for the full list of excursions! 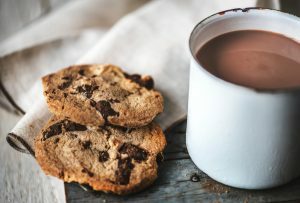 The most wonderful season of all continues on board the train, especially if you have a warm cup of cocoa. On this hour and a half long trip, you and the family will have a chance to get out of the house without having to get out in the cold! Join us for a cup of cocoa, chocolate chip cookie and get creative with a selection of pictures to color as you make your way through the Cuyahoga Valley National Park! Tickets are $25 per person. Departures are at 9:40 a.m. or 12:40 p.m. out of Peninsula. Come ride the rails through Cuyahoga Valley National Park while you enjoy tabletop games in one of our table cars. 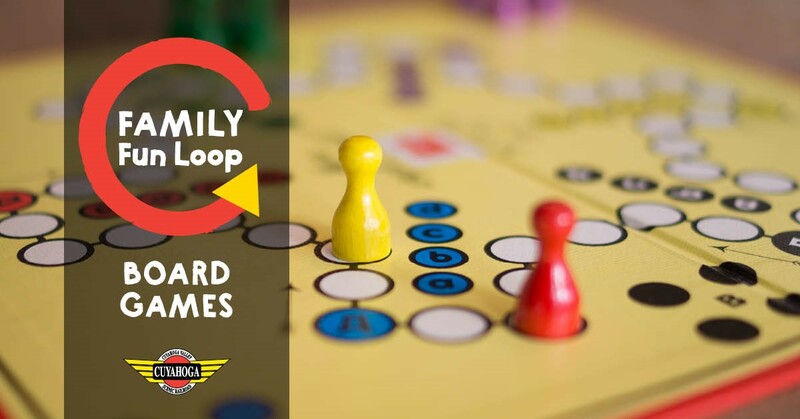 We’ll provide the classics like checkers, Scrabble and cards, or you can bring your own fun game on board! Tickets are $15 per person. Departs from Peninsula. Join us for an afternoon on the train to listen to stories, sing songs, and enjoy a sweet treat! On board you will have the opportunity to receive autographs and take pictures with your favorite superheros. Our special guests include Bat Lady, Spidey, Patriotic Hero, Warrior Woman. And for the super snacker? All tickets include a cookies and choice of juice or water! 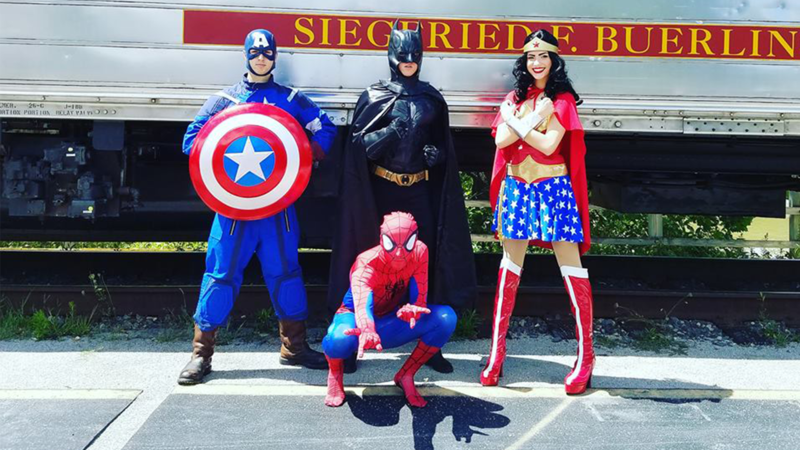 All riders are encouraged to dress in their best “hero” attire! The train ride is from 12:40 p.m. – 2:05 p.m. Tickets are $35 per person. 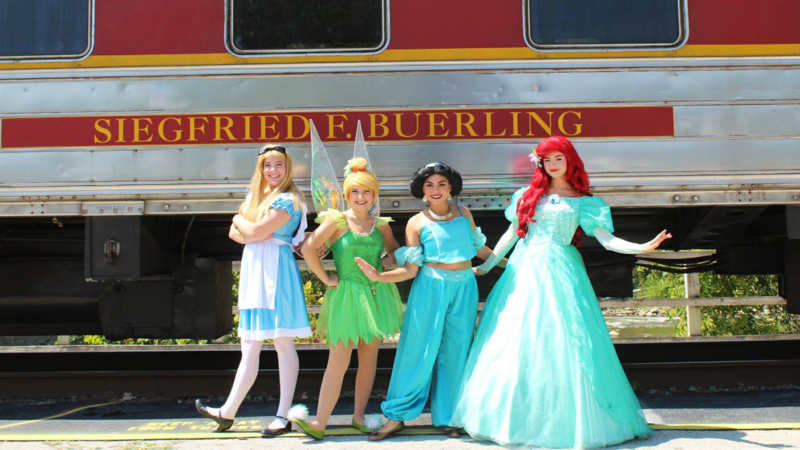 Join us for an enchanting afternoon on the train to listen to stories, sing songs, and enjoy a sweet treat! On board you will have the opportunity to receive autographs and take pictures with your favorite princesses. Our special guests include Tinkerbell, Peter Pan, Frog Princess, and Little Mermaid (characters vary depending on date). And for the supreme snacker? All tickets include a cookies and choice of juice or water! All riders are encouraged to dress in their royal best! The train ride is from 12:40 p.m. – 2:05 p.m. Tickets are $35 per person.